An arrest will change your life. From that moment forward, the government tries to take control. A court will set conditions of bond, and a prosecutor will work to limit your freedom. Take back the control. Hire the right advocate. Melinda Lehmann will help make your life normal again. As an Assistant District Attorney for Dallas County, Melinda prosecuted hundreds of criminal cases from start to finish. She handled many different types of case including drug cases, DWI, assault, aggravated assault, family violence offenses, murder, gun offenses, sexual assault, aggravated robbery, burglary of a habitation, and more. Her experience as a prosecutor is invaluable to her clients: knowing your opponent gives you a major advantage. What is also invaluable to her clients is her special competence and experience in criminal law. 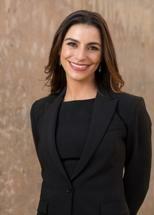 Melinda Lehmann is Board Certified in Criminal Law by the Texas Board of Legal Specialization. Very few Texas attorneys have cleared the hurdles and demonstrated the expertise required to become Board Certified. In the words of the Texas Board of Legal Specialization, "Board Certified attorneys are experts..." and being Board Certified "...is a mark of excellence and a distinguishing accomplishment." Only Board Certified attorneys can represent to the public that they are specialists in a particular area of law. Melinda is among the few Texas criminal defense attorneys who have demonstrated the substantial experience and special competence required to become Board Certified. Your case does not have to end with the words "plea bargain." Trial experience is an asset. Melinda has tried over 100 cases. She has the experience to give you complete representation: from bond, to grand jury, through jury trial. Who you hire will certainly affect your outcome. Melinda is in your corner ready and able to fight for you. Melinda received both her undergraduate and law degrees at Texas Tech University in Lubbock, Texas. Her tenacity allowed her to earn her undergraduate degree in two and a half years. Due to Melinda's academic achievement, she received a full scholarship to Texas Tech University School of Law, where she earned her law degree by the age of 22 in December of 2003. In May of 2004, Melinda was admitted to practice law in Texas. Melinda believes in fairness. As an advocate, she understands the importance of a level playing field. She began her career as a civil litigator. There, she witnessed the injustice of large companies exploiting vast resources to cut insurance claims to victims. Melinda wanted to help victims, so she became a prosecutor. She leveled the playing field for victims by bringing violent offenders to justice. But, again, Melinda learned that citizens accused also aren't always given a fighting chance. She left the Dallas County District Attorney's Office because she found another opportunity to help individuals take control of difficult times in their lives. As a Criminal Defense Attorney, in every case, Melinda sees an opportunity to help restore a reputation, a career, or a family. Arrests happen unexpectedly. Fortunately, Melinda is expecting your call. She understands the fear and uncertainty that come with an arrest and is ready to help.